The “accession protocol” signing ceremony was led by NATO Secretary-General Jens Stoltenberg and Macedonian Foreign Minister Nikola Dimitrov. Stoltenberg commented, “This is a historic occasion. We have waited for you to join our family for a long time,” and added that the ceremony marks the start of the ratification process. The last country that joined NATO, Montenegro, had to wait about a year for its accession protocol to be formally endorsed by all members. Now Greece is set to become the first to do so this week. Macedonia will then start calling itself North Macedonia and will join the Alliance under that name, which will happen probably later this year or in early 2020. 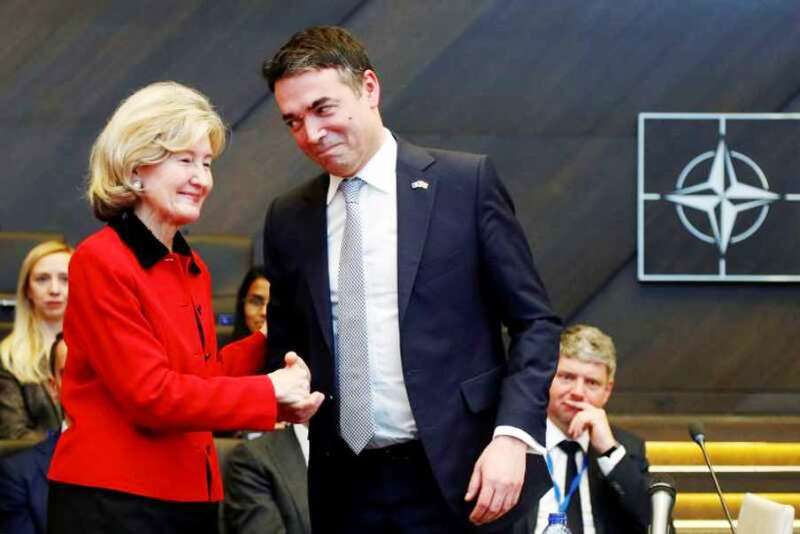 Macedonian Foreign Minister Nikola Dimitrov commented that the ceremony “is the result of the work of many generations,” and expressed his gratitude to the Macedonian and Greek prime ministers for overcoming the name dispute. For a decade the NATO membership of Macedonia was blocked by Greece due to the dispute regarding the name of the country. The name of the former Yugoslav republic was seen by Greece as a threat to its own administrative region of Macedonia. The membership move happens 18 years after NATO deployed troops in Macedonia to collect weapons held by ethnic Albanian rebels so that a civil war there to be avoided. The Macedonian Prime Minister Zoran Zaev said that his government will now focus on the economy, rule of law, better health and education and higher wages.